The Lion in Winter was an eleventh-hour addition to the list simply because I wanted one more Christmas movie I’ve never seen. I would say this is probably the strangest Christmas movie out there for its ability combine historical drama and soap opera antics within a Christmas package. Watching this movie made me wish other English monarchs had Christmas movies attached to them. I dream of seeing A Henry VIII Christmas one of these days. The film is talky as it’s based on a stage play but the familial interaction and fantastic acting on display makes this an unconventional Christmas film to seek out. King Henry II (Peter O’Toole) wishes to put his youngest son John (Nigel Terry) on the throne, but is facing rebellion from his other two sons who have their own ambitions. Henry brings the entire family together, including his exiled wife Eleanor of Aquitaine (Katharine Hepburn) for a Christmas get-together to name his successor. Unfortunately, with the entire family in one locale schemes are put into motion that could rip everyone further apart. I’ve actually been trying to write this review for a few days, but the film is such a complex and interwoven tale of historical drama that I’m not sure my review can do much justice to it. Those who hate historical dramas, or films filled with political machinations will be bored to tears by this movie. The dialogue is what sells this movie and I don’t recall any big action set-pieces to break things up. I’m not as well-versed in the history about Henry II as I am with Tudor history, but you really don’t need to be a history buff to follow the story (it does help though). 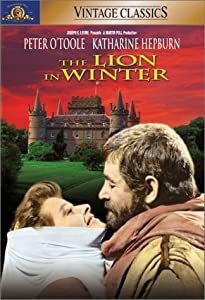 Underneath the political scheming lies a dysfunctional family coming together at Christmas, so in a way I think of The Lion in Winter as a classier, older version of The Ref (minus the kidnapping). The story is appropriately soapy with affairs, scheming, and manipulating. Human emotions are constantly questioned, and are forced to be put aside when it comes to ruling a country. Moments when Henry or Eleanor make the effort to show parental concerns towards their sons, they’re met with jealousy or suspicion. It’s obvious that one Christmas meeting won’t undue years of torment, nor will it do much to change things considering the fate of history involving two of the three sons ruling. Keep in mind that this meeting is all fictional. The Lion in Winter does blend elements of the modern within this medieval story. At times you almost start to wonder if the film is self-aware; particularly in one line of dialogue when Eleanor says “We all have knives, it’s 1183 and we’re barbarians.” I’ll get to the fantastic script in a second, but I did mention the film feels like a soap opera at times and that’s true. Characters pop in and out of every scene, from the shadows apparently, and they’re all listening in on others conversations. Affairs also run rampant in this movie. The predominant one is Henry’s relationship with Alais (Jane Merrow) who is supposed to marry Henry’s son John. It’s a completely disturbing relationship when you take into account the fact that Alais has been living as a ward to Henry since the age of seven! Henry also believes that his affair with Alais will continue after her marriage saying “Johnny won’t mind.” The film also dabbles in homosexuality between Richard (Anthony Hopkins) and Alais’ cousin Phillip II (Timothy Dalton) which I didn’t expect. It feels like unnecessary soapy melodrama, and I haven’t ever read anything about it, so I wish it had been developed a bit more instead of being a lone line of dialogue. The script and the acting exceeds all expectations, and the two ultimately go hand-in-hand considering the theater experience of the cast involved. 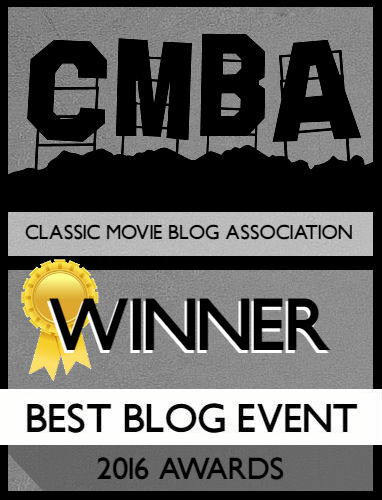 For me, this was all about Ms. Katharine Hepburn! She’s feisty and not afraid to be aggressive in front of Henry creating a powder keg of a relationship. She is the perfect blend of sass and class, and boy is she frank about Henry’s sexual escapades. They’re both ambitious and defiant to any questioning of their authority which makes them the perfect couple, and their own worst enemies. Her relationship with her children is equally marred by her ambition. In one telling moment she reveals to her children that sterility would have been a better option than having all her children hate her. There is an interesting relationship that develops between her and Alais. Alais is a competitor for Henry’s affections, and yet Eleanor pities the girl because she dreams of having a daughter of her own; a void she believed Alais could have filled. Hepburn is a juggernaut of an actress playing a role that only she could play. You feel her pity, her hostility, and her vulnerability. It’s almost hard to judge the male characters because of how dominant a presence Hepburn is. O’Toole is a lout and appropriate in the role. Henry is a character I could have seen Richard Burton playing, but O’Toole makes it his own. He definitely has fun with the one-liners he’s given, of which his lines are the most malicious. The film opens with Alais asking him “How is your queen?” to which he retorts “decaying, I suppose.” My favorite line in the entire film is said by O’Toole: “What should we hang, the holly or each other?” I was surprised to read this was the début of both Anthony Hopkins and Timothy Dalton. I’ve seen neither actor as young and fresh-faced as they are in this, and in a way their acting in this is so different from what their personas would eventually become. Both are controlling in their characters and fill the space when they walk in. The weakest actors have to Merrow as Alais and John Castle as Geoffrey. Alais is the thankless female character, but Merrow plays the character like a little girl an inch away from crying. Similarly, Castle’s character is always whining about himself. The Lion in Winter was a pleasant surprise for me this Christmas. It’s sumptuous, historical, and dysfunctional. The script is crackling with harsh one-liners and the acting is superb. Go watch it, and realize that families in the 1100s weren’t so different from today! I love that you call Hepburn “a juggernaut of an actress.” I couldn’t have said it better myself! Glad you liked this movie. And I spelled her name right to boot! Got the TCM Katharine Hepburn set for Christmas so hope to get more of her films reviewed here soon. 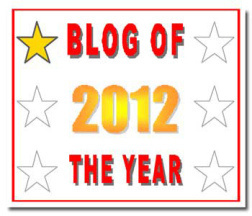 Hope you had a good New Year! I’ve watched this film a couple of times and have never even thought of it as a Christmas movie – until now HAHA! You’re right: it IS a wordy movie but that’s one of the reasons why it’s so great! The dialogue is fantastic and each actor in the film really inhabits their role from head to toes. Haha, I’ve been surprised by what is or isn’t considered a Christmas movie.